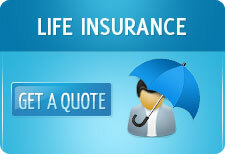 An insurance contract between the insurance company and the insured is one of trust. The moment of truth in this relationship appears when there is a claim by the insured (in the case of a non life policy) or by the dependents (in the case of a life insurance claim). Till that moment comes, everything is hunky dory- premiums are being paid regularly by the clients, and the insurance company is only too happy receiving them. However, the moment a claim appears, an insurance company proceeds to evaluate the claim closely, as every claim paid out is an expense for the company, hurting profitability. Thus, there is a basic conflict here: the insured wants the maximum claim to be paid, while the insurance company would like to reduce the claims outflow to the extent possible. From a customer’s point of view, it is very important to study the claims settlement history of a life insurance or a general insurance company before deciding to purchase an insurance policy from that company. During the sales process, the sales representatives will be all sugar and honey so that the prospective customer signs up. But the fact of the matter is that if the insurance company you are considering has a bad history of claims settlement, there is a high probability that you will face a claim rejection or reduction when the time comes for you or your nominees to file a claim. The table above clearly reveals that the Public sector insurance companies are more generous in terms of paying claims. The life insurance data shows that LIC pays almost 97% of the claims while the private life insurance companies pay about 85% of the claims. The same pattern is revealed in the non life insurance sector also where on an overall basis, the claims ratio of the public non life companies is higher than that of the private general insurance companies. However, one needs to be careful here before jumping to a conclusion. It could very well be that in the public companies are sourcing the wrong kind of business with lax underwriting norms, whereas the private companies would be more stringent at the entry time itself. However, the worrying part is the claims denied ratio of the private life insurance companies which is over 7%. In the case of a life company, the claim is a death. There can be no ambiguity here- someone is either dead or alive. The repudiation figure of 7% seems mysteriously high here. In the next post, we will delve deeper and look into the claims breakup at the individual private company level.